Sat, Apr 23, 2016, 09:42 pm SL Time, ColomboPage News Desk, Sri Lanka. 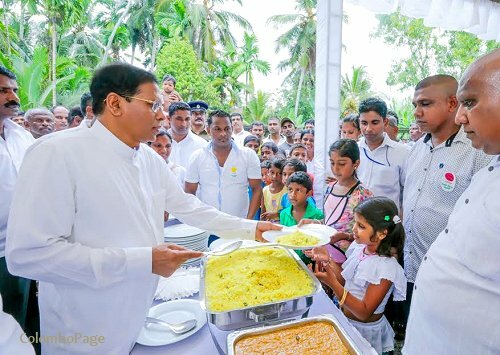 Apr 23, Matugama: Sri Lankan President Maithripala Sirisena today unveiled South Asia's tallest standing Buddha statue in Matugama of Kalutara District in Western Province. 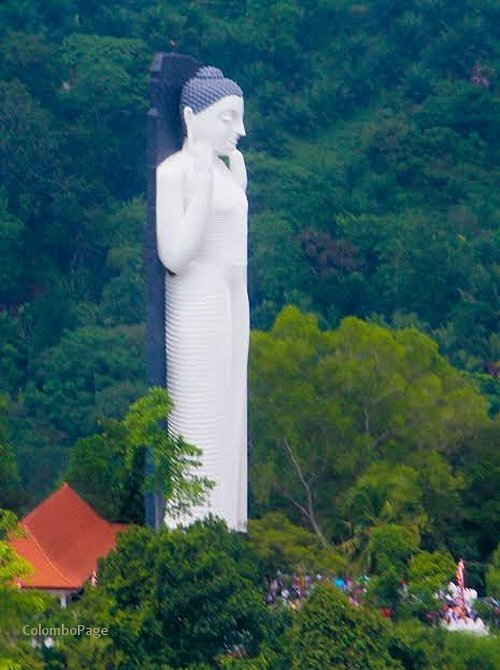 The 135-feet tall Buddha Statue, similar to the Avukana standing Buddha Statue, has been built on a hill top at Batamulla Kanda Buddhist Centre at Matugama with the personal funds of Provincial Councilor Jagath Withana. Addressing the gathering at the opening, the President said the Buddhist philosophy has been instrumental in molding a righteous society in the country and a moral society could be built based on the Buddhist philosophy. 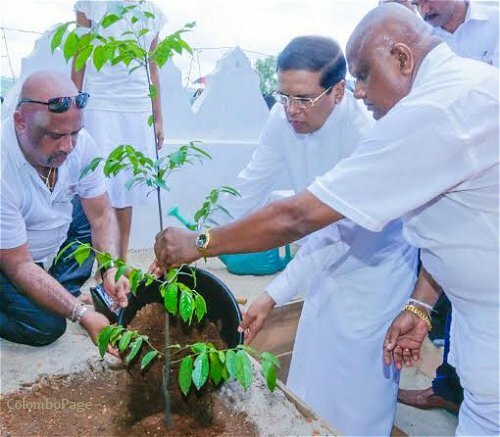 The President planted a Naa sapling at the premises of the Buddhist Centre to mark the occasion. Mr. Vithana presented the President with a replica of the Avukana Buddha Statue. The Maha Sangha including the Maha Nayaka of the Ramanna Nikaya Venerable Naapana Pemasiri Thera were present on the occasion.